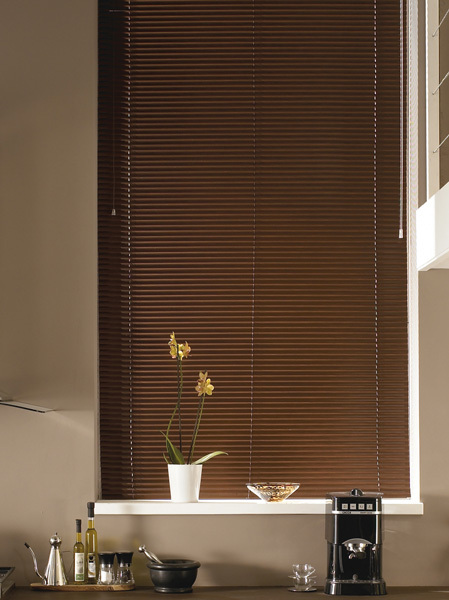 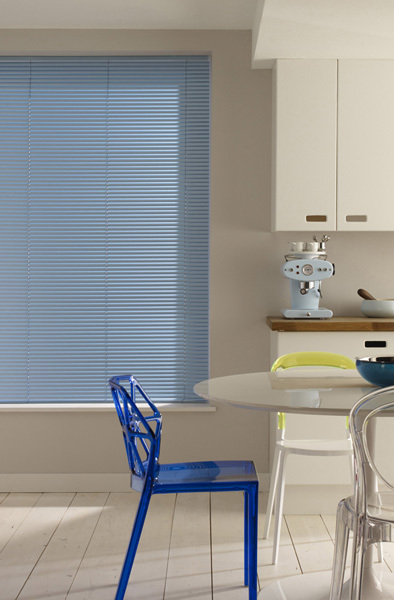 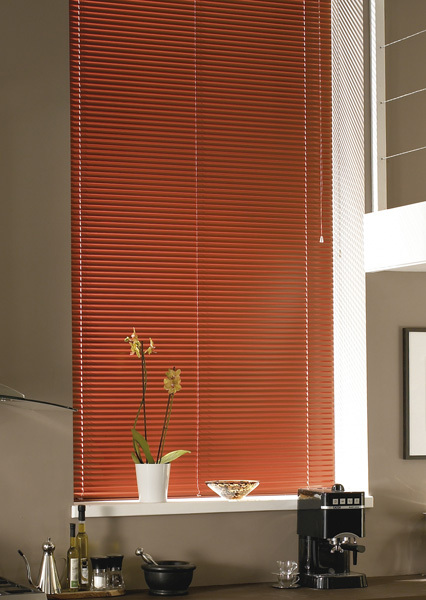 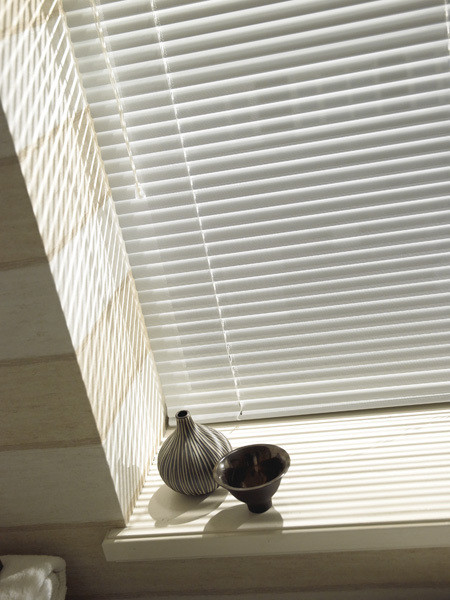 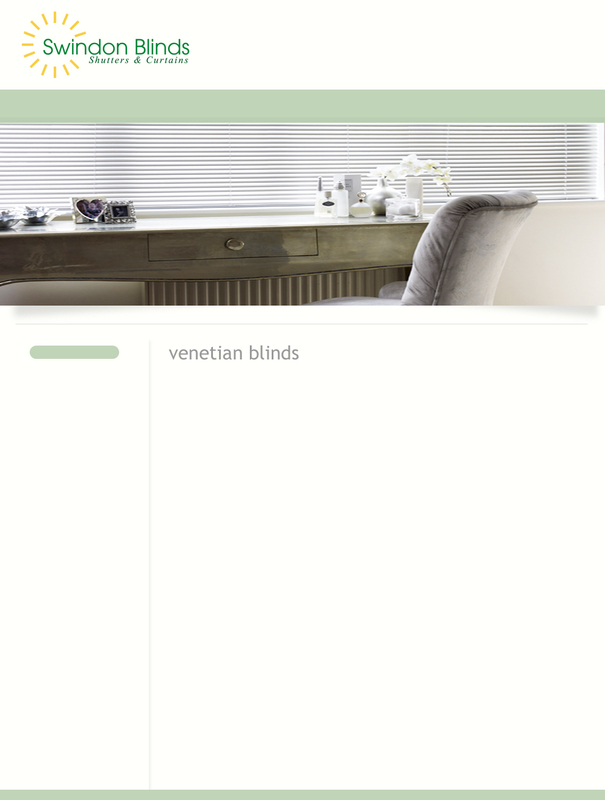 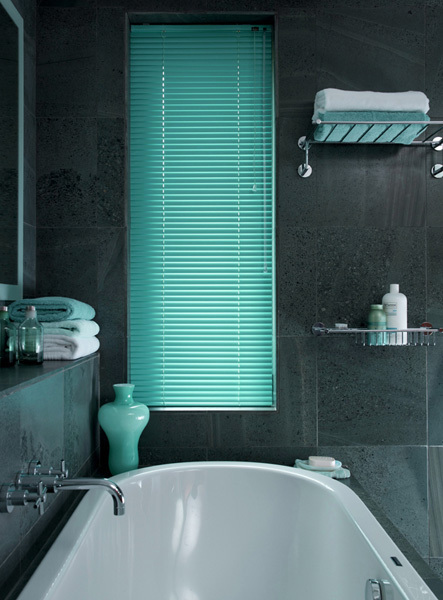 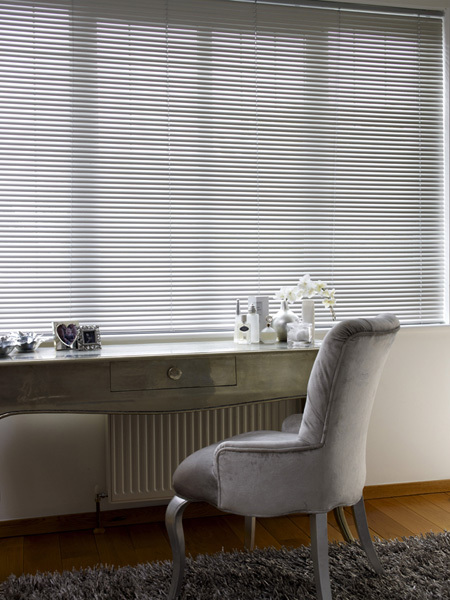 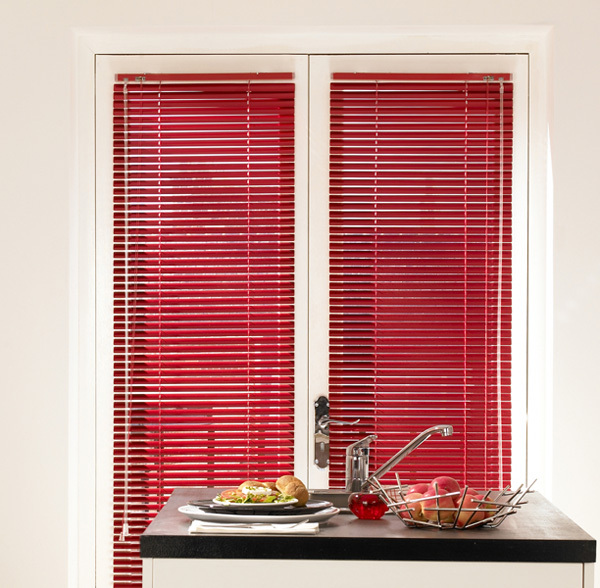 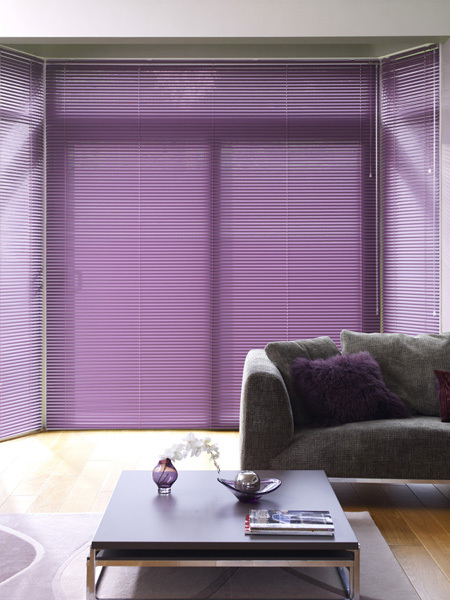 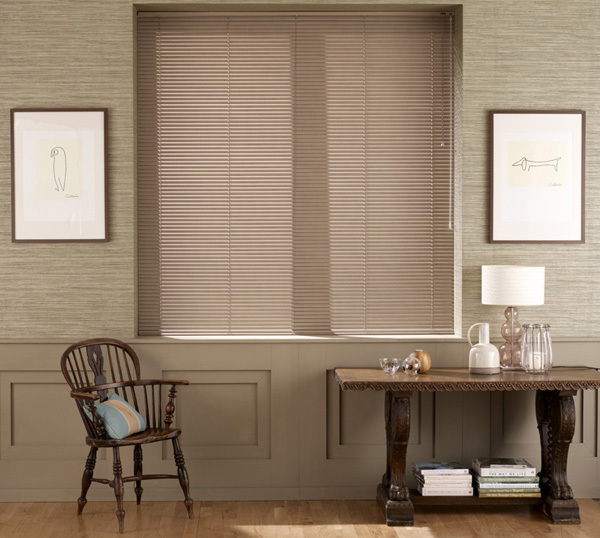 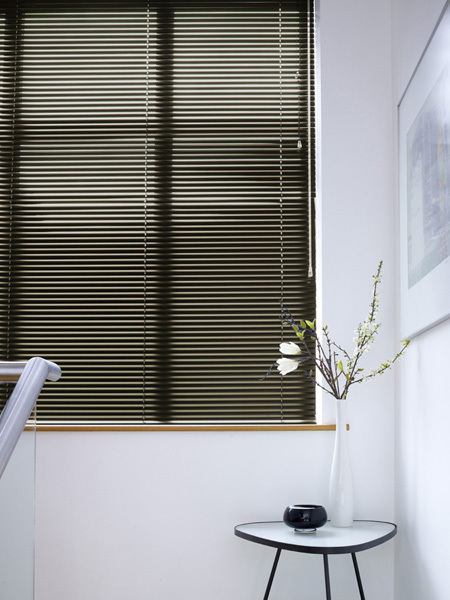 Venetian blinds are available in wood or aluminium. 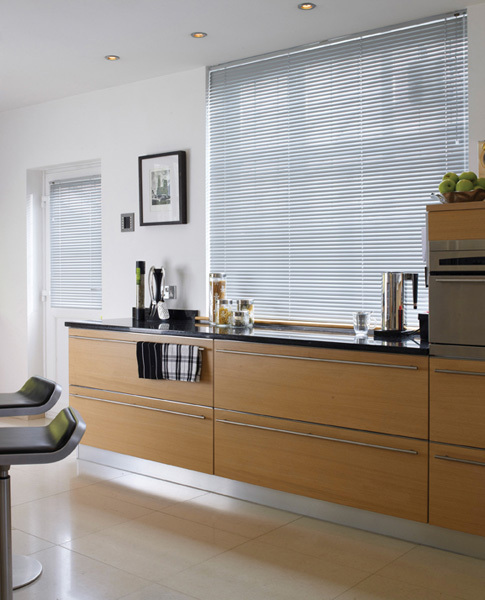 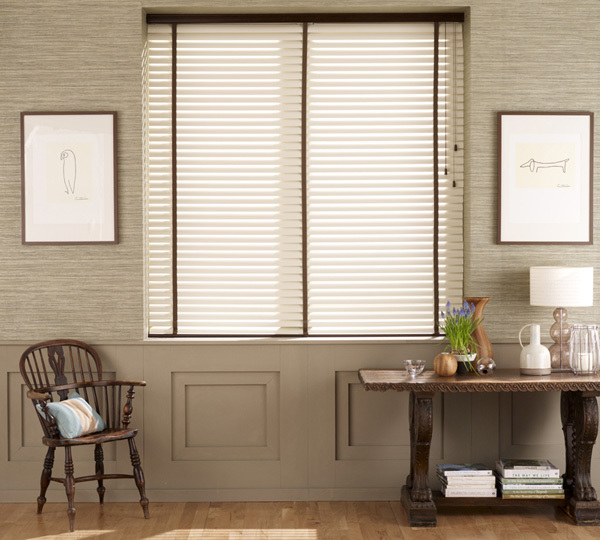 Aluminium venetians are perfect for bathrooms and kitchens or any room that's likely to get particularly warm or steamy - especially our Aluwood range which combines the practicality of aluminium blinds with the look of natural wood. 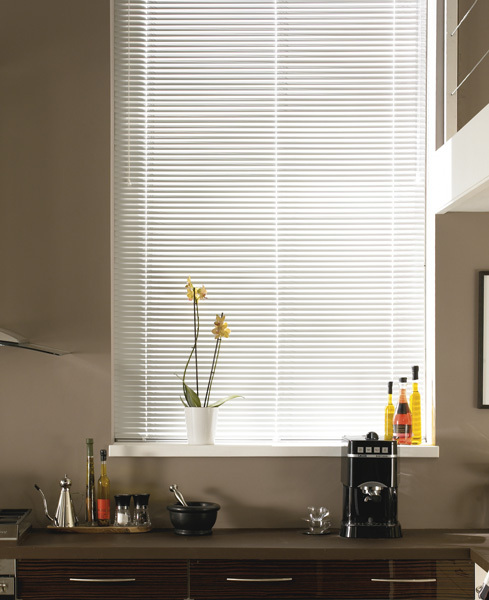 Aluminium venetians can also be fitted in a Perfect Fit frame to fit snugly inside uPVC window frames. 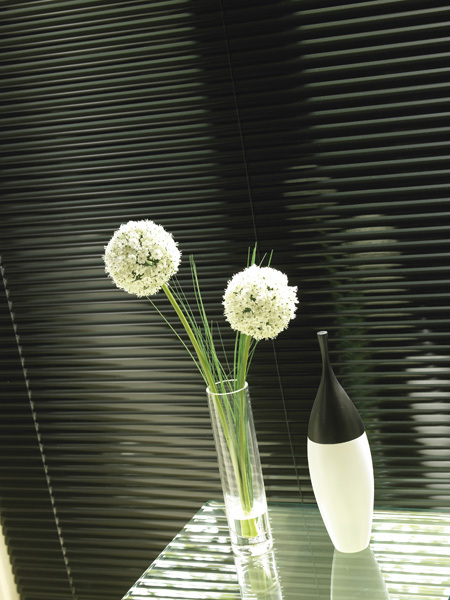 This system is ideal for sealed unit double glazing as the blinds fit seamlessly between the glass and beading, with no need for drilling or screws. 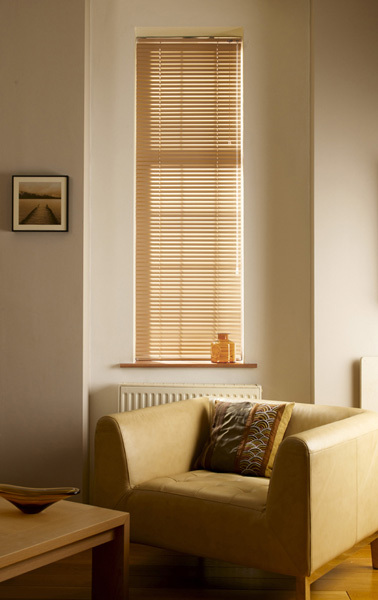 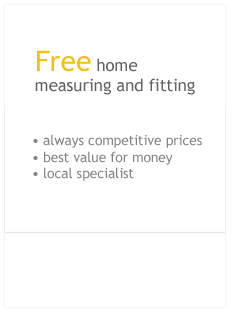 They're also ideal for conservatories, tilt n' turn windows or even back doors as you can open your windows without having to pull up the blinds first.